For over 50 years students, professors, clergy, and general readers have relied on The New Oxford Annotated Bible as an unparalleled authority in Study Bibles. This fifth edition of the Annotated remains the best way to study and understand the Bible at home or in the classroom. This thoroughly revised and substantially updated edition contains the best scholarship informed by recent discoveries and anchored in the solid Study Bible tradition. · Introductions and extensive annotations for each book by acknowledged experts in the field provide context and guidance. · Introductory essays on major groups of biblical writings - Pentateuch, Prophets, Gospels, and other sections - give readers an overview that guides more intensive study. · General essays on history, translation matters, different canons in use today, and issues of daily life in biblical times inform the reader of important aspects of biblical study. · Maps and diagrams within the text contextualize where events took place and how to understand them. · Color maps give readers the geographical orientation they need for understanding historical accounts throughout the Bible. · Timelines, parallel texts, weights and measures, calendars, and other helpful tables help navigate the biblical world. 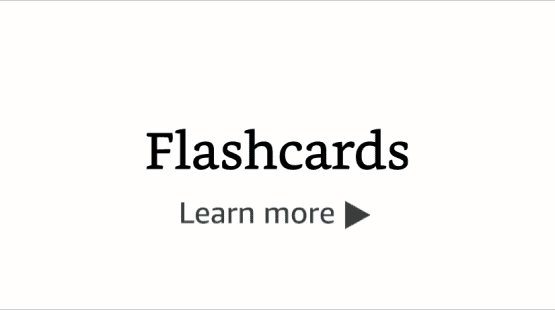 · An extensive glossary of technical terms demystifies the language of biblical scholarship. · An index to the study materials eases the way to the quick location of information. The New Oxford Annotated Bible, with twenty new essays and introductions and others--as well as annotations--fully revised, offers the reader flexibility for any learning style. Beginning with a specific passage or a significant concept, finding information for meditation, sermon preparation, or academic study is straightforward and intuitive. A volume that users will want to keep for continued reference, The New Oxford Annotated Bible continues the Oxford University Press tradition of providing excellence in scholarship for the general reader. Generations of users attest to its status as the best one-volume Bible reference tool for any home, library, or classroom. Sold by Inventory Express and ships from Amazon Fulfillment. Michael Coogan is Lecturer on Old Testament/Hebrew Bible at Harvard Divinity School and Director of Publications for the Harvard Semitic Museum. He has also taught at Harvard University, Boston College, Wellesley College, Fordham University, and the University of Waterloo (Ontario), and has participated in and directed archaeological excavations in Israel, Jordan, Cyprus, and Egypt. He is the author of Old Testament text books and The Old Testament: A Very Short Introduction. Marc Z. Brettler is Bernice and Morton Lerner Professor in Judaic Studies at Duke University. Carol Newsom is Charles Howard Candler Professor of Old Testament, Candler School of Theology, Emory University. Pheme Perkins is Professor of Theology at Boston College. 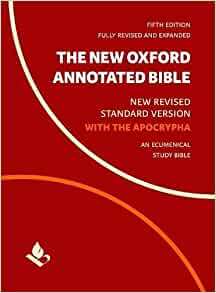 Start reading The New Oxford Annotated Bible with Apocrypha on your Kindle in under a minute. (This is about the kindle version!) ... Of course, the contents are, in general, excellent and substantial. This review is not about that. It's about how this e-book does not take much advantage of the possibilities offered by the electronic format. EXECUTIVE SUMMARY: The main thing to get this for is the introductions, essays, notes (annotations), and the complete NRSV w/ apocrypha. But it can be very hard to use the kindle version as a true study Bible because citations and cross-references in the notes are not hyperlinked -- meaning that you would have to manually find the verses being cited or given as cross references, and finding a specific verse is time consuming because there are no chapter links within individual books. Etc. However, the introductions and notes are good. RAMBLING, FULL-LENGTH VERSION: Navigability should be improved. Links should be added for all verse citations/cross references. A real table of contents with links for each book and book chapters should be added. Once you navigate to a book, there should at that point be a (hyperlinked) list of the book's chapters, so you can touch (for example) "Chapter 12" and go straight to Chapter 12 (instead of having to manually go one page at a time to get there). This e-book, I think, really should be updated to take advantage of the electronic medium. As it is now, it's nicely formatted, but it only very minimally takes advantage of the possibilities of the electronic format - the main issue is navigability. The annotations are somewhat inconsistently implemented. Some verses you touch the verse number and a pane comes up in the bottom 1/3 of the screen with the commentary/note. Other verses, you touch the verse number, and then are taken to a page (like end notes). Some verse citations (all of them within the footnotes) are not hyperlinked. It would be extremely time consuming read through a book's chapter, read the notes for that chapter, and then manually find the verses/cross references cited in the notes, and then go back to where you started reading from -- because of the lack of hyperlinks. But that kind of intense study reading, and going back and forth and following the cross-references, etc., is exactly what a study Bible like this is supposed to be for - if you want to do that, you may be happier getting the paper version of this. Again - in the commentary/notes, cross-references and citations to other verses are NOT hyperlinked! (You would have to manually search for them.) OUP really should update this so that all verse citations and cross-references are hyperlinked! (Note: the kindle of the NABRE translation (ASIN: B0054SLCOQ) has this feature (all it's notes/cross-references ARE hyperlinked - each and every one! the kindle version of that Bible really takes advantage of the electronic medium. It's the best kindle Bible I've found. For $5.99 it's a great deal. It's a Catholic Bible, so includes most of the "apocrypha" and the notes/commentary are extensive and detailed.) Anyway, the NOAB 5th Ed could really use an update to make it a really functional electronic book: namely, all verse citations should be hyperlinked and the annotations should be implemented in a more uniform way. I was actually pretty surprised about these two issues: (1) that verse references and cross references within the annotations do NOT have ANY hyperlinks, and (2) - not really as important - the inconsistent way in which verse annotations are implemented (some appear as a pane in bottom half of screen, others as end notes, others (infrequently) seem not to work, and for some verses you touch the verse number and it takes you to the endnotes and, somewhat confusingly, there is not always a specific note for that verse there. Anyway, it's still very nice to have this in a portable (kindle) format, but it takes some time to get used to how the annotations can be accessed, and navigation could be VERY much improved (e.g., add a real table of contents with links, add chapter links, add links for verse citations and cross-references in the notes). Re lack of chapter links: As the book is now, if you want to read, for example, John 3:16, you would have to find John in the list of books at the front, and then manually keep tapping to reach "John" in that list (going all the way from Genesis), and then once at the start of John (there is no chapter list there), so you would have to manually go one page at a time until you get to the 3rd chapter. This isn't always so bad, especially in shorter books, but what if you're trying to get to the 48th Chapter in Isaiah? Find Isaiah in the list of books, then touch that, then manually go one page at a time until you reach chapter 48?! I can't believe OUP didn't provide better navigation - at least for chapters. As it is now, this is - for me - a little arduous to navigate through sometimes. In a way, that has a certain charm: this kindle e-book will not surrender forth all of its riches without some effort on the reader's part! But - this is an e-book. It is SUPPOSED TO BE easy to navigate! OUP really should be updated to take advantage of and utilize the possibilities, presently mostly latent, offered by the electronic format. Perhaps the 6th Edition will fix these problems or OUP will make an update to this (5th) Edition? Again, I would love to see an update of this with all verse references/cross-references hyperlinked, like in the NABRE noted above, and with improved navigation, with a real table of contents including links for individual chapters within books. Also the verse citations in the introductions/essays should also be hyperlinked. Sometimes they are, sometimes they aren't. Would be nice to see an update to this kindle volume. ALSO -- If you don't really need the annotations in this 5th Ed. NOAB, another NRSV with all the same apocrypha is available from HarperOne (ASIN: B003YUCE98). It is a very nicely done kindle book, with excellent navigation, links where you would expect them, fully functional table of contents, chapter links at the start of books, etc. And it also has the nice feature of chapter/section headings (descriptive titles of what follows, e.g., "The Parable of the Sower" at the start of Mark, ch. 4), unlike - it seems - all Bibles produced by OUP. 5.0 out of 5 starsA layman's point of view. This new version, at first glance does not seem to have changed drastically when I compared it to the 4th. I want to point out that it's binding has been reinforced to correct the major flaw the 4th had (it would rip from the spine; you could tell it was a badly constructed); Now, the glue binding has been sewn which has definitely improved it's sturdiness. I've not gone through the whole of it, but most probably this was the chief reason for a new edition. I know how frustrating that is, mine (4th), ripped after two months in. But now the 5th has come! The introductory essays at the beginning of each book have remained the same,except for some minor editing that I've noticed so far. Comments at the foot of every page are marvellous. If you want a new perspective on every book that is an evidence-based critical analysis this is the bible for you. It provides different perspectives without diminishing the Bible's credibility. That is precisely why I favour this study bible more than the Harper Collins Study Bible. A version in which the authors appallingly downgrade the Bible's religious importance to a fictional book. Which, for me, it is a drawback. I do understand, this approach is used in Divinity schools; but the authors kept in mind that lay readers would seek and Oxford Bible in an attempt to better understand the Scriptures. And that, I liked. The Oxford's Annotated Bible offers a historic/preterist view (one does not have to agree with all of provided content). Something I found highly informative was current and past theories as to why it is possible for books to have been edited or had multiple authors instead of the widely held beliefs taught in church. Or better put: the theological approach to the study of the Bible. BUT, is not done without disrespecting one's beliefs. I feel many academic books do a fine job in that regard. It is an honest and serious approach to enhance the scope for the reader. My devotionals have thus become intellectual and spiritual experiences. I enjoy every contributor's commentaries, because they put into context every book's contemporary politics. The reader has a better grasp of the political background that may or may not influenced a book's contents: some were destroyed and rewritten—edited too—over hundreds of years. The NRSV is a magnificent translation in itself. Now add Oxford's reputation and deep academic tradition to it and voilà: That is how the The Oxford Annotated Bible was born. I highly recommend this study Bible. if you desire to nourish your thirst for knowledge, then, this will be a great resource for you. There is simply no way one can select a specific book, chapter and verse of the bible. For instance, if you wanted to read Isaiah 55:11, you can select Isaiah 55:11, you have start at chapter 1 and then continue to page all the way to chapter 55. This is far too time consuming. Excellent study bible. The navigation on the Kindle version could be improved, but I have found it much more useful since discovering that tapping the chapter or verse numbers will pull up the footnote box allowing quicker access to the annotations. Perhaps I am still missing something but there does not appear to be a quick way to navigate a list of chapters or verses for the individual books. Despite the less than perfect navigation I am glad to have it on my Kindle reader.